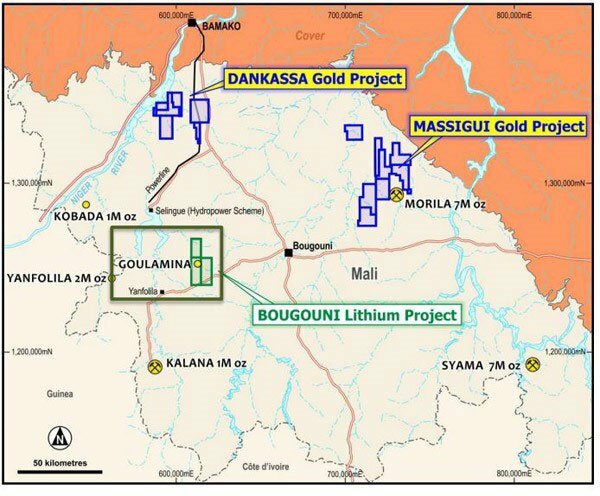 Birimian Gold (ASX:BGS) must be just days away from kicking off a 5,000m lithium drilling campaign in Mali. This $50M capped company is chasing lithium grades higher than more established players such as Galaxy Resources, Altura Mining, Pilbara Minerals, and Neometals to name a few. All companies with market caps many multiples of where BGS finds itself today. BGS previously advised the market that drilling will start in early May – so everything looks in place now for the company to spin the drillbit and start its voyage, hopefully towards being a lithium producer – right when the sector is starting to heat up in investors’ eyes. Make no mistake, BGS’ voyage into lithium is opportunistic, aimed to take advantage of the current buzz over lithium plays. It’s just raised $3M cash in a fully underwritten rights issue, which gives it more than enough to commence its combination RC and diamond drill campaign on its 100% owned Bougoni Lithium Project. BGS is about to come into a market where demand is looking to skyrocket over the next few years – so on its own terms it is coming into a hot commodity. Now, before we go too far, it should be noted that for political and social reasons, this is a very high risk stock. Getting mining projects up and running in countries such as Mali is no simple feat, and there may be challenges ahead. The company also has an offset in gold, meaning that it’s well positioned if the lithium buzz cools off. When we introduced you to BGS , not a lot was known about its play – but now there’s more information in the marketplace on its prospects – and none of the information presented has made us walk away thus far. In the next few days, possibly as early as this week, BGS will sink the drillbit into its lithium project and kick off the whole process. You may have noticed of late that a lot of lithium plays are piling into the market, hoping to take advantage of the current buzz around the commodity. It’s leading to big valuations for companies which get it right, and it’s worth taking a quick look at some of the larger players for Australian investors to get an idea of where BGS may be headed. As we’ll get into later, the grade BGS is chasing is actually larger than what other lithium players are seeing – but its market cap is many multiples below that of its peers. Again, the other companies on this list are a lot more advanced than BGS, and BGS’ numbers are a target rather than informed by a drilling campaign. It does, however, show you the trajectory of companies who get it right. 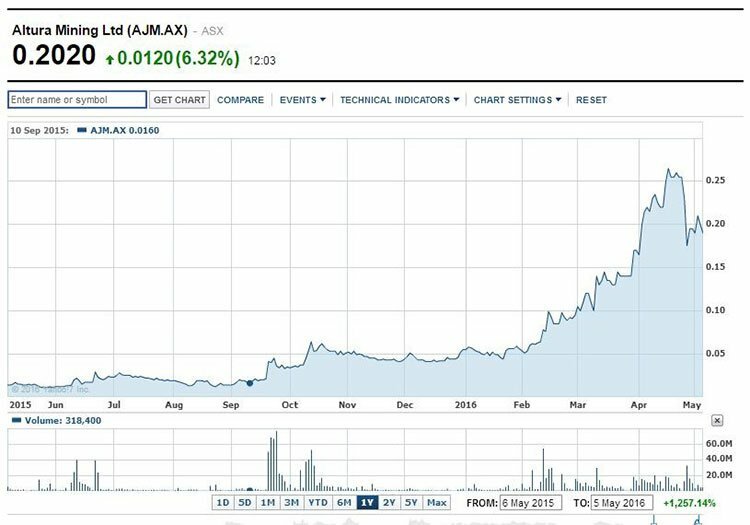 In fact, take a look over the past year for the charts of GXY and AJM. The past performance of these product is not and should not be taken as an indication of future performance. Caution should be exercised in assessing past performance. This product, like all other financial products, is subject to market forces and unpredictable events that may adversely affect future performance. PLS and NMT show similar rises revealing how the market has started to respond to lithium plays over the past year. So, how exactly is BGS hoping to do that? While the exact details of its drilling plans aren’t known yet, we do know a fair bit about what it’s attempting to drill. It simple terms, the company is trying to find a commercial, high grade lithium resource at the Bougouni project in Mali. This is an early stage lithium play, however, so caution is advised if considering this stock for your portfolio. The project is close to a sealed highway (very important in this part of the world), power from the grid and lots of water – which turn out to be three pretty essential parts of any mining project anywhere in the world. The Selingue hydroelectric power station is about 45km north west of the deposit, meaning fairly easy access to power. BGS’ thinking is that the project hosts a high-grade pegmatite deposit – and it’s already whacked an initial exploration target of 15 million tonnes to 18Mt at grades between 1.8% and 2.2% lithium oxide. The company isn’t just pulling this figure out of a hat – trenches have been dug across the ore body in a previous move initiated by the World Bank. Way back in 2008, the World Bank commissioned mining consultancy CSA Group to undertake a survey of the area under the organisation’s SYSMIN economic development program. One of the things the World Bank does is to foster economic development in emerging economies to spur growth – and mining is one way for a country to foster economic growth. 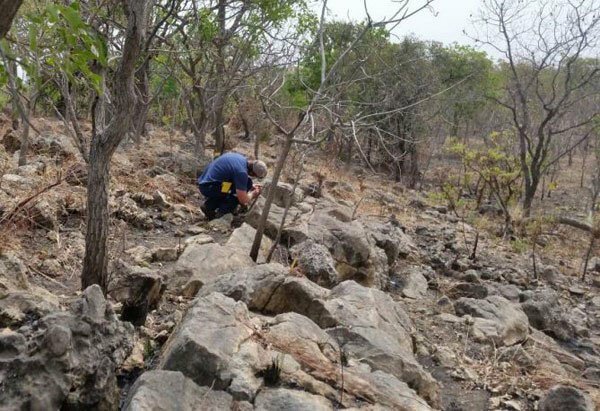 So CSA Global, at the behest of the World Bank, undertook systematic sampling at Bougouni (or to be more precise the Goulamina deposit) to grab a bulk sample. It grabbed 3150kg of the stuff, which was then crushed up and split to 750kg. It then sent that to the lab to try and figure out whether it could be processed into a saleable product. CSA Global managed to produce spodumene (the rock where the lithium resides) of about 84.7% and then from that produce a concentrate measuring 6.7%. For reference, a good concentrate is considered to be about 6%. So before it has drilled a single hole, BGS knows that there is a rocks here that can be processed into a saleable product. Half the work is done! Not literally, of course. Add onto this that extensive regional mapping was completed in random bursts between the 1950s and 1990s and you have some sort of collection of data which is underpinning BGS’ confidence in the project. Explore the wider Bougouni Project to see if there are any more drilling targets it should go after. BGS is now fully funded for drilling too, having raised a tidy $3 million as part of a 3 for 7 rights issue so it should be able to sink a fair few holes without needing to go back to shareholders or take on debt. 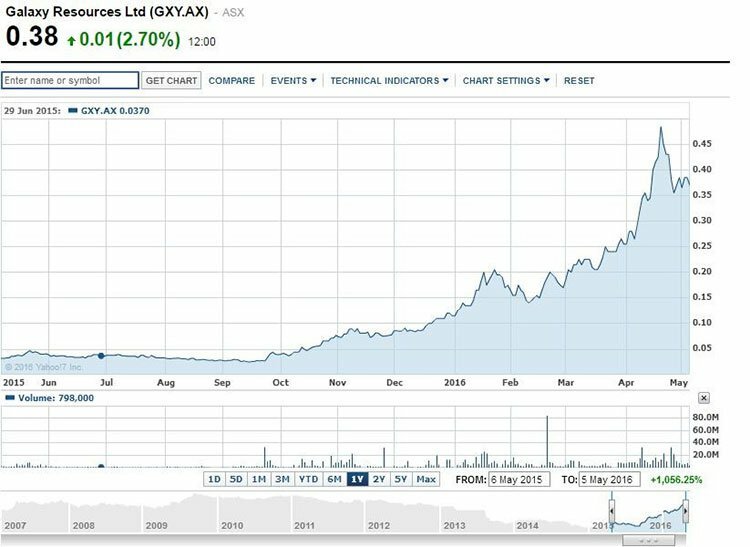 BGS is ready to hit the start button on its lithium adventure any day now, but we should remember it has a few decent shots at gold as well. You might have seen it on the map above – BGS also has two gold projects in Mali on the go, and one down in Liberia. The first cab off the rank is the Massigui Project . There’s been more than 35,000m of drilling already done at the project – meaning this is a mature gold play, not an exploration hopeful. 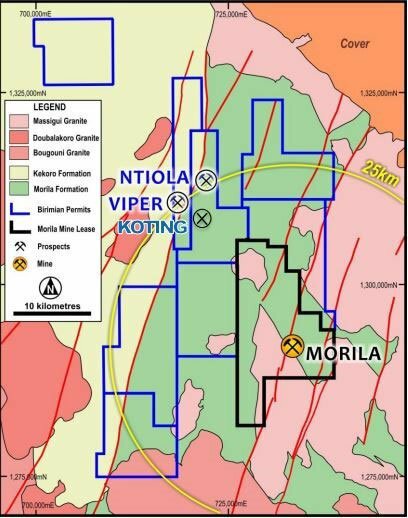 Here’s an overview of the three prospects in play here – being the Ntiola , Viper , and Koting deposits. Based on the more than 35,000m of drilling done on the prospects, it has come up with a combined target potential figure of: 8Mt @1.5 grams per tonnes for 400,000 ounces of gold. That in itself gives BGS something more to it than just the lithium prospect. 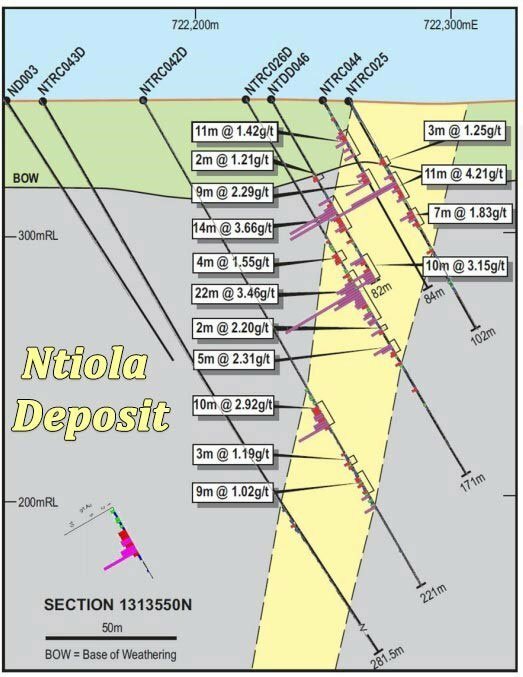 All gold deposits are open at depth meaning that should BGS desire, there is more drilling to be had and the potential to add to the 8Mt target. The best prospect identified to date has been the Ntiola prospect, and you can have a look at some of the high-grade hits here – including 11m at 4.21g/t . Oh, and there happens to be an underutilised gold processing centre within 25km of the deposits – so that’s good news when it comes to commercialisation. BGS hasn’t spoken on this, but we can foresee an operation whereby BGS pays the operator a cut for early gold production and then uses the revenues from processing early gold to construct its own gold plant. With central banks around the world seeing who can devalue their currency the quickest through rate cut after rate cut – we’re bullish on gold longer term as a safe haven from currency and volatile equity markets. This is just speculation however and we advise you to remain cautious and seek professional advice if considering this stock for your portfolio. To the west, BGS holds the Dankassa Project, but this remains on hold as it starts its lithium journey. In Liberia, BGS has it The Basawa Project, although this remains under force majeure. Lithium could be considered the hottest of commodities right now, and usually gets a bump every single time Elon Musk makes a speech. In fact, the press are starting to pick up on it now. 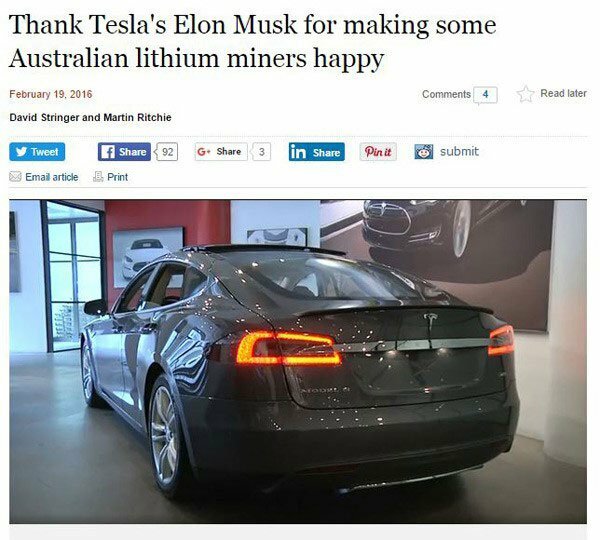 The lithium buzz is being quite literally driven by Tesla in western investment circles, as investors start to see the need for lithium-ion batteries. As you can probably put together, lithium is a key ingredient in these batteries, which are the technology underpinning the electric car and solar storage revolution – which is just starting to heat up. Prices of lithium carbonate – an industrial chemical used in lithium ion batteries – have surged 47 per cent in 2016 from last year’s average, according to London-based Benchmark Mineral Intelligence. 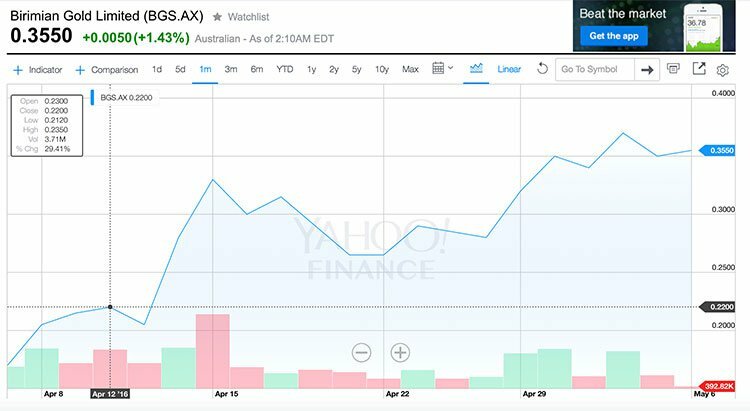 Two of Australia’s five best-performing stocks in the past 18 months among a Bloomberg Index of 2035 listed companies are developers of lithium materials operations. From 2015 to 2024, the market to supply lithium ion batteries for light vehicles may total $US221 billion ($310 billion), according to Navigant Consulting. The massive demand for lithium can best be summed up by the demand for electric vehicles, such as Tesla’s Model 3 recently. As you can see, people are pretty excited – and while we can’t be sure of this the per-minute ‘whoo!’ average may in fact be a world record! In any case, people have snapped up pre-orders like nobody’s business. In the first few days, pre-sales reached 285,000 – outpacing other electric cars...and all other cars for that matter. Suffice to say, demand was so hot it even caught Elon Musk on the hop. This is just one company – plenty of others are lining up in the space as well, including Apple if the rumours hold true. Benchmark Mineral Intelligence has been putting some numbers together about what companies such as Tesla are doing for demand. Underpinning Tesla’s efforts is a ‘gigafactory’ in the middle of the Nevada Desert which is tipped to produce 35 gigawatt hours of energy per year by 2020 – but as this chart demonstrates that only captures part of the story at play here. 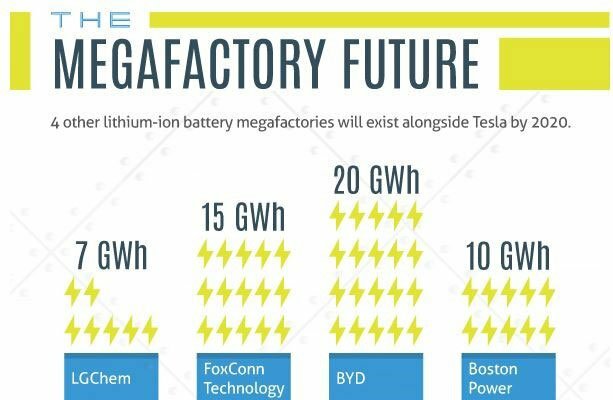 So, by 2020 Tesla will be just over half the story – so where’s the other half? It’s estimated that China alone will add 52GWh of new capacity to the mix, meaning there’s a heap of new lithium demand that will come onto stream. A report from the International Business Times recently outlined a growth in the number of Chinese consumers buying electric cars, with drivers lining up to buy three times as many electric cars as they did in 2014. 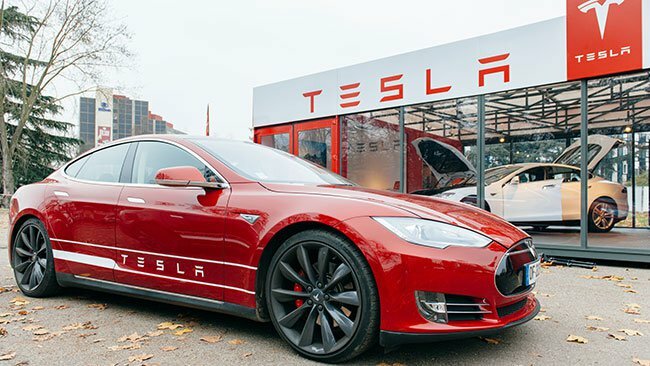 The report cited in the article said consumers bought 114,000 units in the first 10 months of 2015 – while Tesla said around the same time it wanted to have ‘delivered’ (not sold) 52,000 units by the end of 2015. While the Tesla story is an easy one for western consumers to latch onto, it may not be giving the whole picture of demand for lithium-ion batteries, and therefore lithium. Whatever the case, the future looks very rosy for lithium producers – something BGS is in the very early stage of becoming. All the buzz is there on lithium, so it’s a great time to be on the ground floor – and BGS is right there on the ground floor of its journey. BGS is just about to start drilling and has not yet undergone the kind of share appreciation that its peers in the lithium game have recently experienced. BGS is also sitting on gold, another commodity which while it doesn’t have the buzz of lithium, does continue to be a mainstay hedge commodity. Make no mistake, Mali is a risky place to do business and this remains an early-stage play, so seek professional advice if considering this stock for your portfolio. There’s something about an early-stage play in a buzz-worthy commodity which captures the imagination though – and BGS has captured our attention long enough to make us pay very close attention to the short-term drilling in the pipeline.